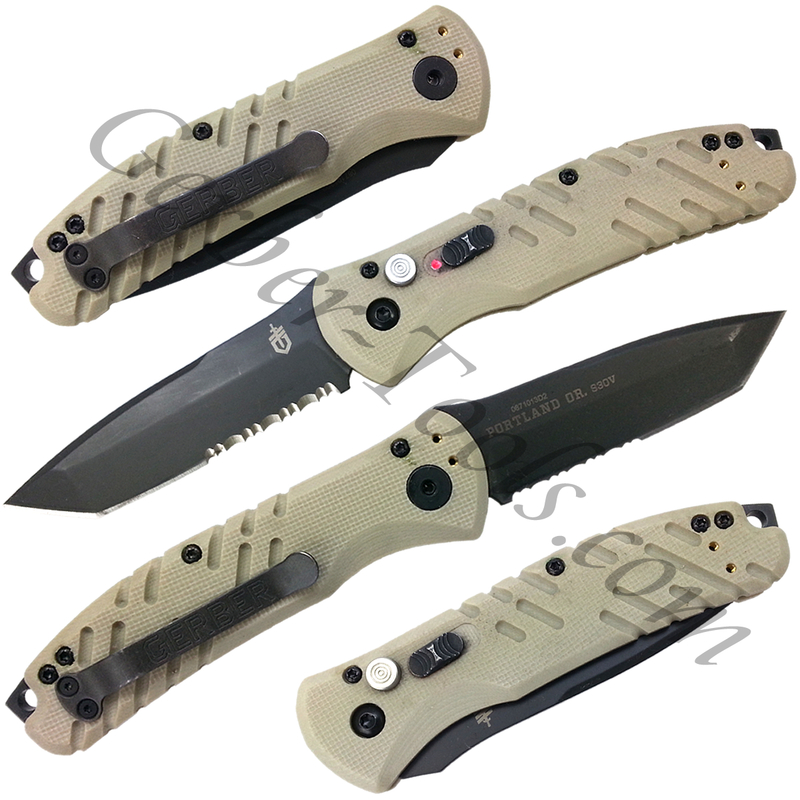 Propel Downrange Auto - S30V Blade, Tan G-10 Handl. Gerber Propel Downrange Auto 30-000695/30-00717 is an automatic knife that does require credentials to buy. This knife has a one-handed opening action with the silver button on the handle. 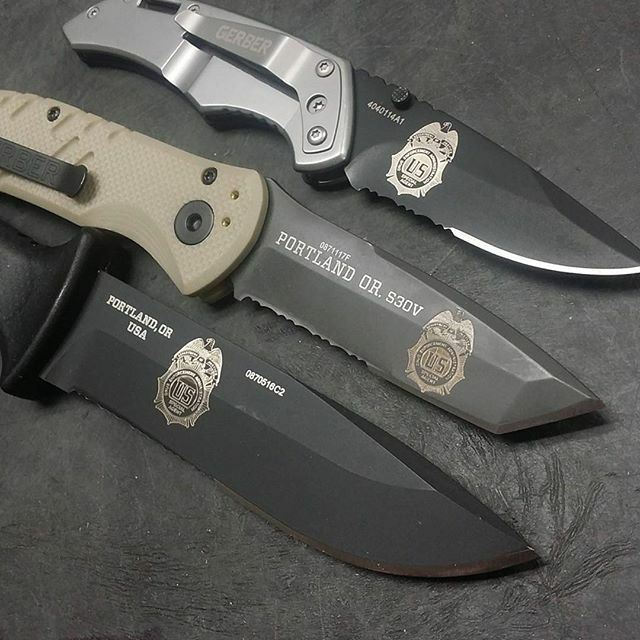 The partially serrated tanto-style blade is made of Premium-grade S30V steel construction. The tanto edge adds utility when cutting stubborn materials like nylon cord or webbing, but maintains the precise cuts of a fine edge when necessary. The black oxide blade coating minimizes reflectivity and adds corrosion resistance, while the tan G-10 composite handle matches desert camouflage fatigues. The three-way adjustable clip can be set for left- or right-hand bias and tip-up or tip-down orientation. Proof of ability to buy this product must be faxed into us and order must be taken on the phone.